Nestled on the edge of Mount Washington along Beechmont Avenue resides one of the most organized, simplified creamy whips of the tri-state. 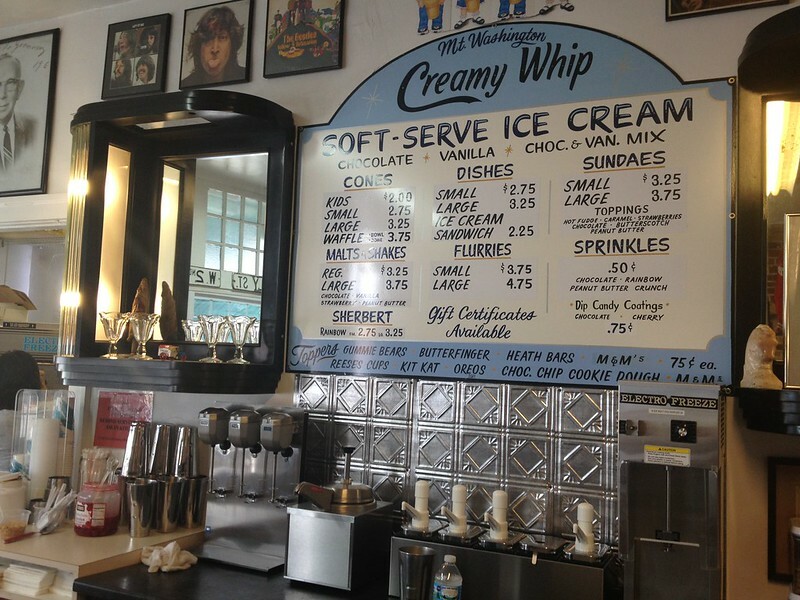 Originating as a bakery that has been around for decades, Mount Washington Creamy Whip scooped its way into the ice cream business six years ago. 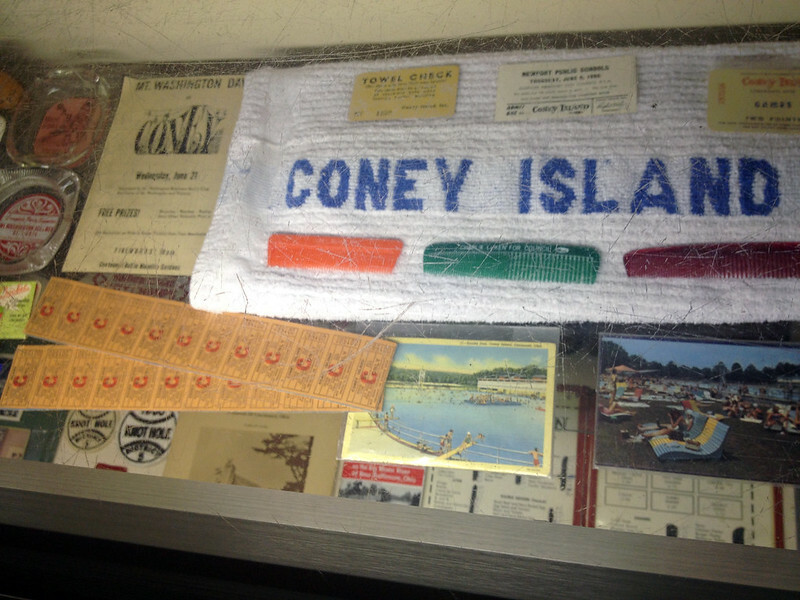 The atmosphere of an old-timey store greets customers with historic Cincinnati transit pictures hung on the wall, Coney Island memorabilia enclosed in a display case, and 1950s-style appliances lining the back counter. 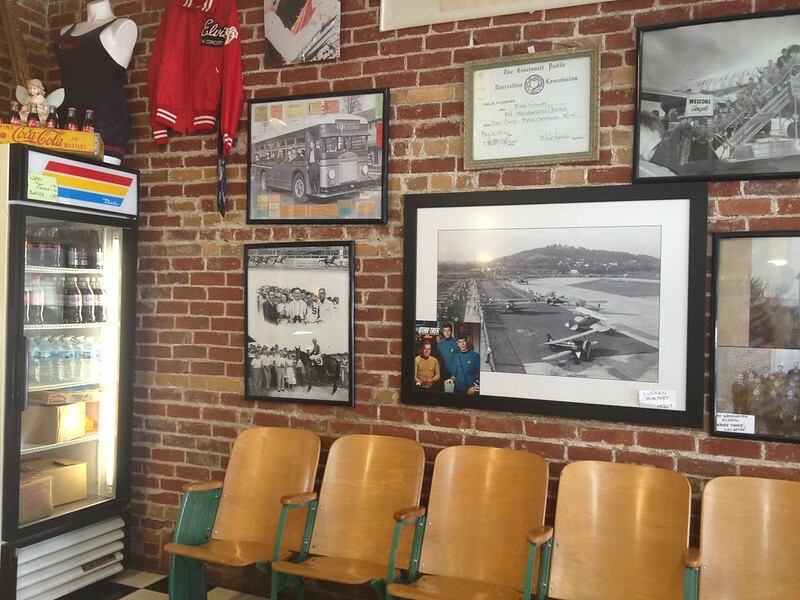 Remember the ice cream counter which George Bailey worked as a child in It's a Wonderful Life? You can find that expierence right here in Mount Washington. With a straightforward menu, Mount Washington Creamy Whip offers three flavors of soft serve: vanilla, chocolate, and swirl. They also create sundaes and have eight kinds of "Toppers" which you can use for ice cream or in a milkshake. For those looking for a lighter option, the Rainbow Sherbert is a unique alternative. Unlike the standard summer ice cream stand, all of these selections are organized on a single, clean, hand-painted menu board. As someone who likes to read all of my options before making a decision, Mount Washington made this an easy accomplishment and I didn't even hold up the line. I opted to try chocolate vanilla swirl ice cream with a cherry dip top, as recommended by my friend Amy from Family Friendly Cincinnati. 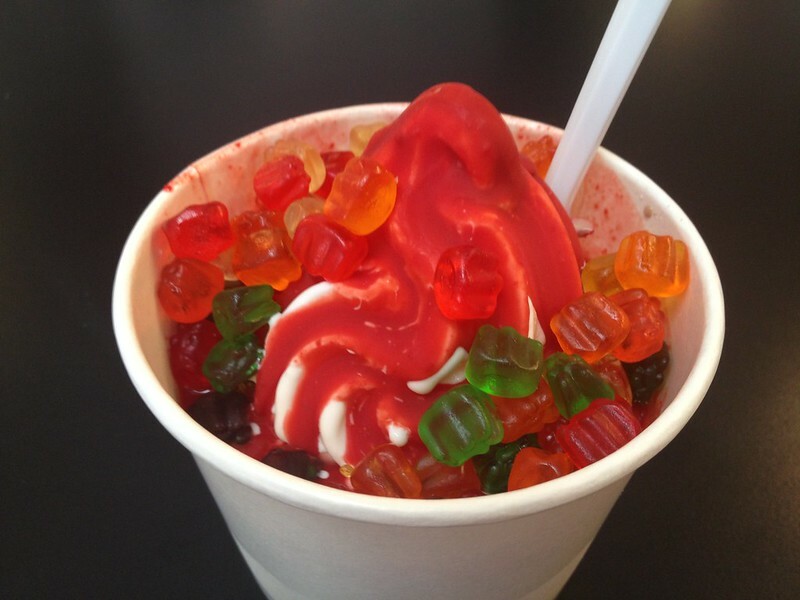 I also added gummy bears, as I rarely see this topping selection. My creamy whip companion ordered an Oreo Malt, which was one of the best both he and I had ever tasted. It was fresh, smooth, and had the perfect cookie-to-beverage ratio. 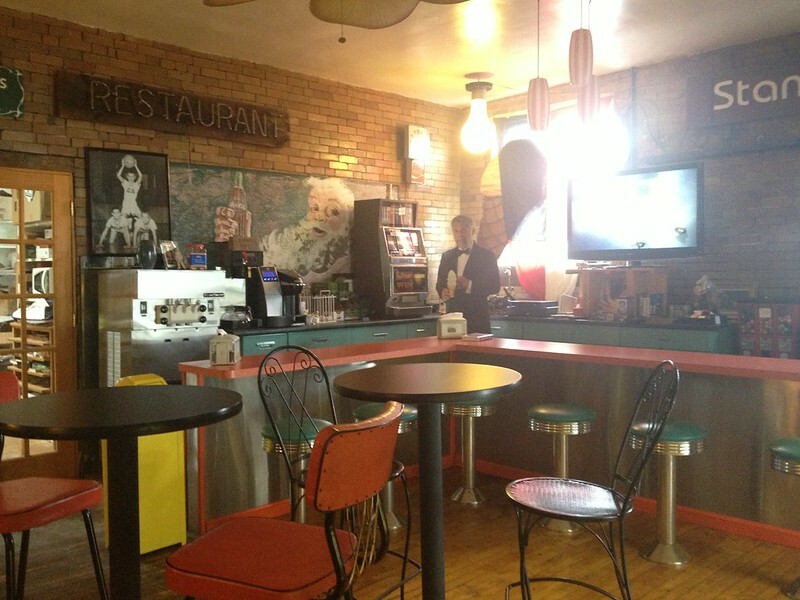 We enjoyed our treats in the Art Deco seating room, which overflowed with more nostalgia. The cherry on top of our experience was meeting The Most Interesting Man In The World in the parlour. 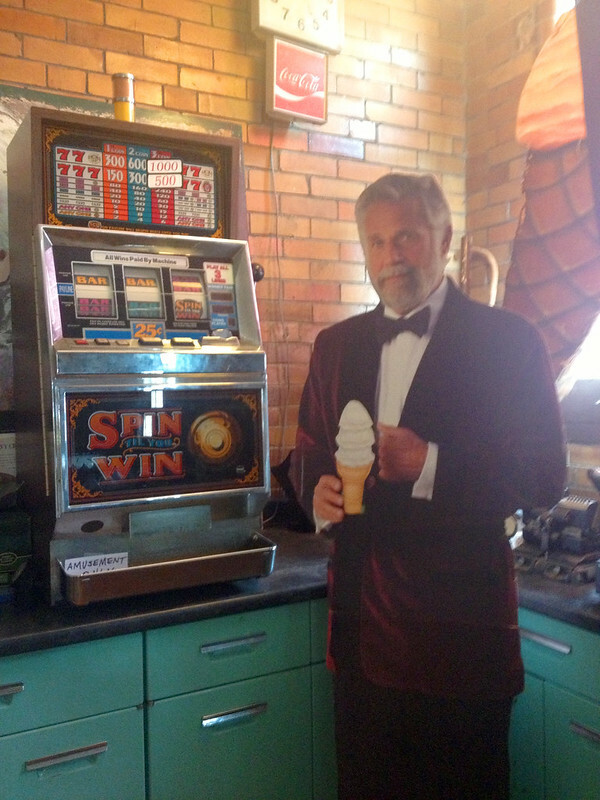 He gave us advice we all can agree with: "I don't always eat at creamy whips, but when I do, it's Mount Washington Creamy Whip."